DO-00653-06 was succesfully added to your cart. 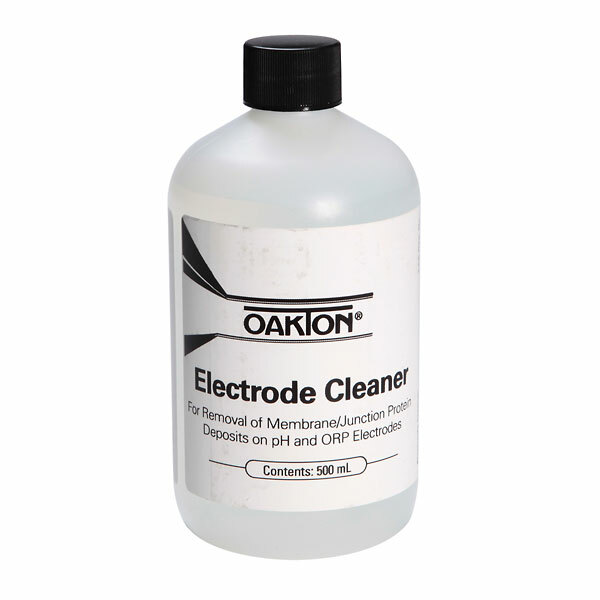 Remove grease and oil deposits from your electrodes with our cleaning solution. Cleaning solution contains pepsin. After cleaning, keep your electrodes in proper working condition with our storage solution. Available as an individual 500-mL bottle, or in a case of 24. Is this suitable for any manufacturer of PH probe? Generally, yes. This product is compatible with all standard epoxy-bodied and glass-bodied electrodes. Is it normal for this solution to have a murky appearance? The solution may not be completely transparent, water-clear in appearance. The solution is likely fine to use, provided it hasn't separated or anything truly out of the ordinary. Is the product useful after the expiration date? I have an unopened bottle that expired 6 months ago. The MSDS says to store the solution in a refrigerator. Bottle only needs to be stored in the fridge once it is opened, and since it is not used often, as to slow possible microbial growth. The expiration date is based on the growth that can occur, and we do not suggest using it past that date. I use this electrode cleaning solution to clean the electrode on my pH meter. It does that really well. The product works effectively - but you do need to have a good cleaning tool as well. Extends accuracy of ec and ORP meters. We use this electrode cleaner in our printing process and waste water process. Works great on the benchtop and the larger probe that is used in the waste treatment lines. We have used this product for 15 years with no problems! Seems especially useful for keeping ORP probes reading properly. When left in solution, the ORP probes seem to lose their reference and give more neutral ORP values. Dipping in this solution appears to "erase" any memory or ion buildup on the probes to bring them back to more accurate readings.